You can view our curent stock of AJS and Matchless motorcycles for sale all viewable at our head office in Kettering. 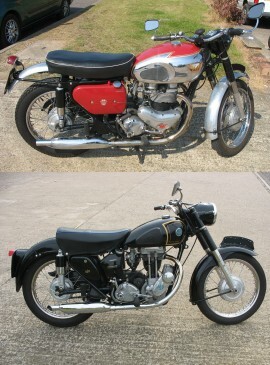 Although primarily dealing with AJS and Matchless bikes we also have a number of other classic makes available. Please note we do not arrange shipment of bikes sold (either to the UK or overseas), but we do have details of companies that specialise in transporting motorcycles.